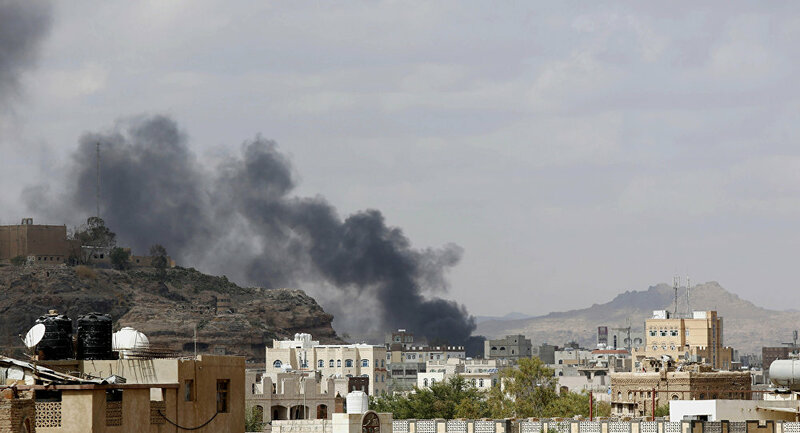 DOHA (Sputnik) - Four people were killed in the Yemeni port city of Al Hodeidah on Sunday as a result of the Saudi-led coalition’s airstrike on a local radio station, Houthi-run Al Masirah TV channel reported. According to the Al Masirah TV, the attack on the radio station located in the Al-Marawah district claimed the lives of three guards and one of the radio employees. The Yemeni Media Union has already denounced the strike as a "war crime" and urged international and local organizations to demonstrate solidarity with the station. The situation in war-torn Yemen has deteriorated sharply since June, when the government forces led by President Abd Rabbuh Mansur Hadi and the Saudi-led coalition, which have been supporting Hadi since 2015, launched an offensive to seize Al Hodeidah, a key port city for humanitarian aid, from Houthi insurgents.